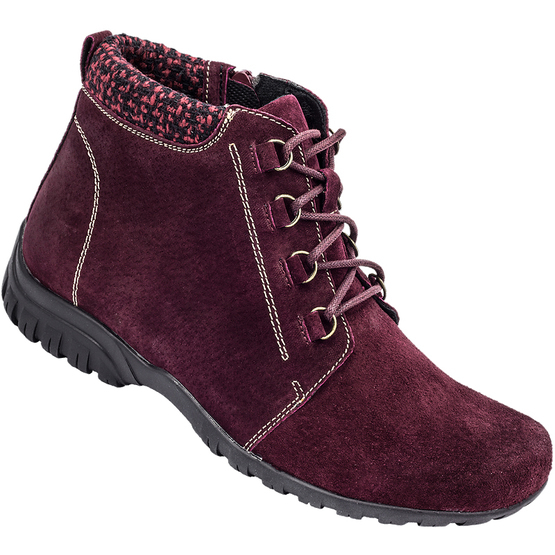 Contemporary ankle boot Delaney, surrounds your feet in blissful soft padding while the rubber sole flexes with your foot. Contrast stitch detailing provides the perfect lift for a truly stylish look. The laced front gives an adjustable fit while a side zip makes them easy to slide on and off.